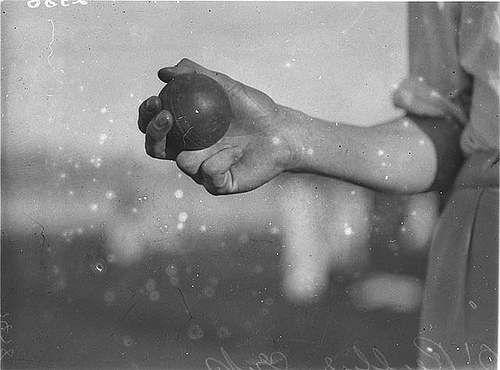 Here it is: a photograph of Bill Reilly’s grip, described by Wisden in 1937 as ‘the first two fingers round the ball and the others folded on to the palm of his hand’. 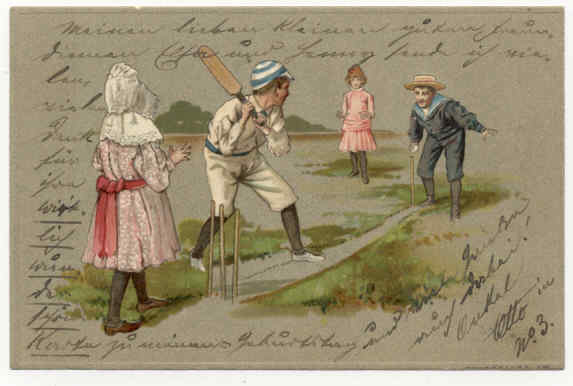 O’Reilly was already 23 when he played his first ‘big cricket’ match. 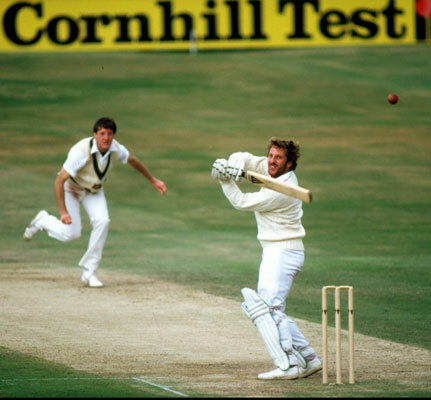 He played in only 133 first-class matches, bowled 37,246 balls took 774 wickets at 16.6 runs each. 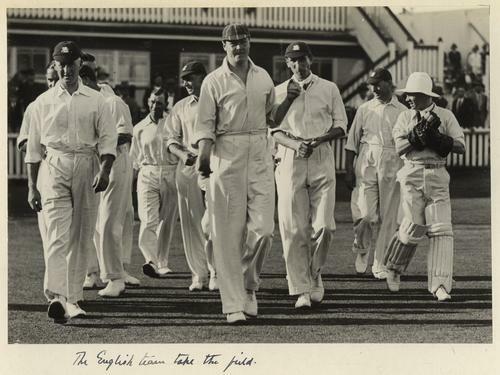 In his 27 Tests he took 144 wickets (102 of them in 19 appearances against England) for 22.59 runs. 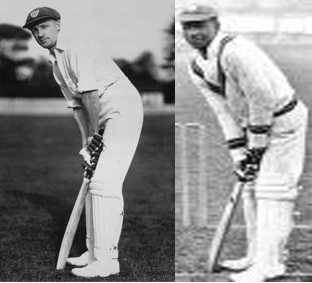 When Bradman was changing the balance of power between the two countries with his bat, O’Reilly was doing the same with the ball. Yet O’Reilly very nearly had one of the shortest first-class careers in the history of the game. 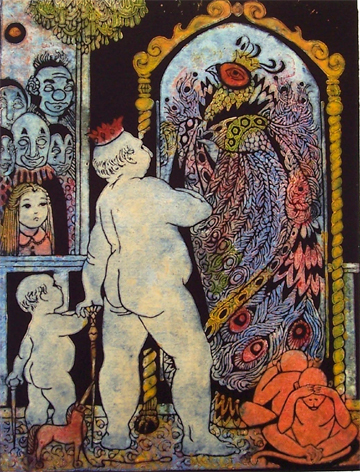 He was taught in a country school near Wingello in the Southern Highlands of New South Wales. 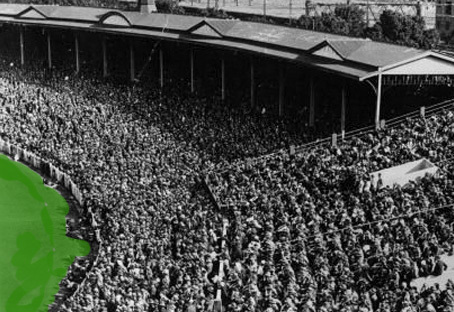 Once, playing for Wingello at Bowral he came up against a seventeen year old called Bradman who proceeded to score 234, 48 of the last 50 with four 6s and six 4s. 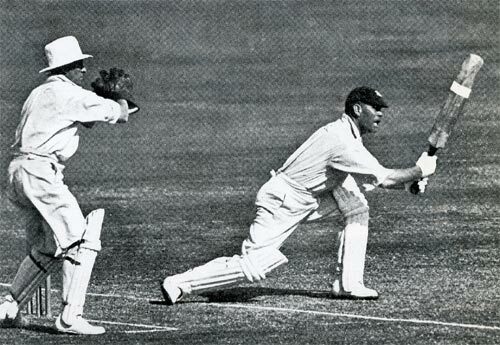 Continuing his innings the following Saturday at Wingello, Bradman was bowled first ball by O’Reilly. 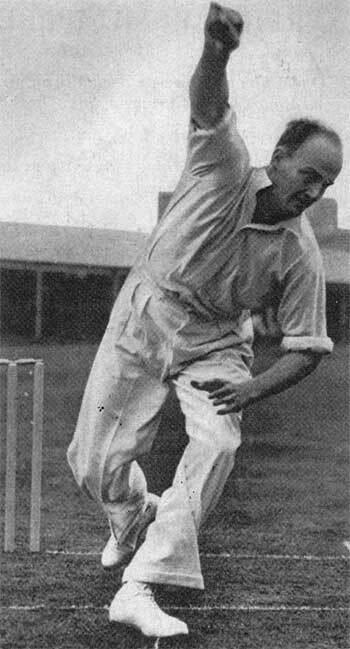 Hammond in ‘My Cricket World’ describes how at the age of twenty and taking wickets in the ‘Big City’ of Sydney O’Reilly was invited to some trial nets under the supervision of Arthur Mailey. 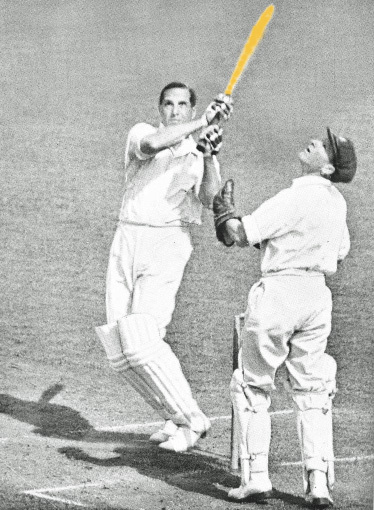 After trying to hold the ball Mailey’s way, O’Reilly went back to his original grip. Mailey described him as ‘unteachable’ and passed him over. 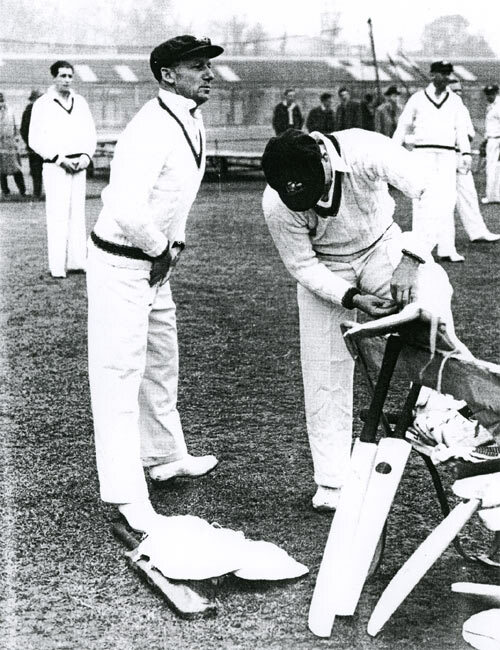 But all was not lost, O’Reilly had attracted the eye of Dr. Reg Bettington, then a power in NSW cricket. Two years later Bettington sent for him and gave him a trial in the State side. Over anxious and gripping the ball too tightly, O’Reilly bowled 12 weak and costly overs and again experienced failure and rejection. 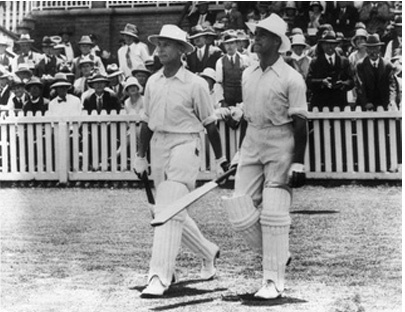 Then, in 1931, when NSW was about to leave to play Victoria one of their bowlers had to pull out and Bettington sent for O’Reilly. But misfortune stalked him still. Early in the game O’Reilly tore a finger on the seam of a newish ball. So he failed again and Bettington would have heard the mutterings and ‘I told you so’s of the doubters. 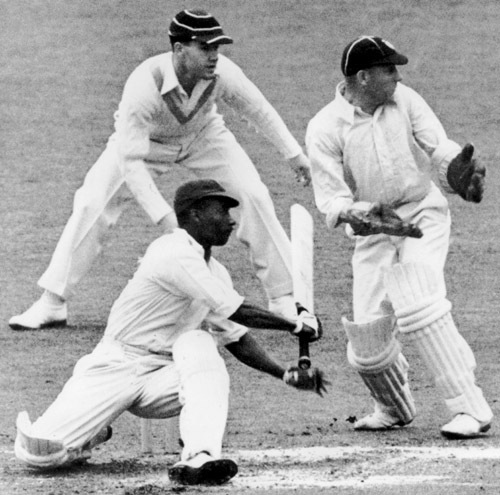 O’Reilly prepared to go home, but Bettington said, ‘Have another go.’ And in the next game he took 5 for 22 in 73 balls including the scalps of Woodfull and Ponsford. – with his special grip!